Tickets are £1 each, of which 85p goes to the Club, so this is a great way to raise money for the Club. Please give ticket stubs and money to your Coaches by Sunday 24 February 2019. 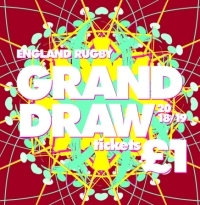 The Draw takes place on 10 April 2019. Please support generously! We raised £1,000 last year, but this year we are targeting £3,000. If every Junior player sells just 20 tickets we should raise £3,600!